Eastland Pest Control understands that even saying the word roach can give you the chills. Roaches live just about anywhere that we do, hiding out in the dark cracks within your home. Unlike many other insects, roaches can live for a month or more without eating as long as they have access to moisture. Roaches are not just gross and a nuisance; many have been found to carry a variety of diseases including what is found in Salmonella. When they crawl over the surfaces of your home, they may leave no trace, threatening the health of you and your family as you go about your ordinary day. This is why roach control is so important to you and your home. 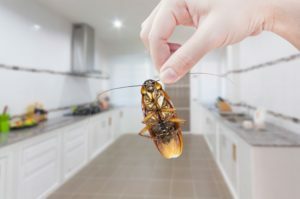 Although roaches are very persistent and can survive in the most extreme of conditions, we are confident in our roach control services to get rid of them for you. When we first come to your home, we will take our time to identify what type of roach infestation you have and narrow down where their habitat may be. Different roaches are found in different locations, whether that is outside near a body of water or in an attic. Once identified, we will use the appropriate method to give you the confidence that you need, knowing that your home is roach free! If roaches are found in your home, we suggest that you sign up for our monthly or quarterly visits just to ensure that we have taken care of the entire matter and have not missed anything between the cracks, literally. Roaches are no joke; do not just stand by and watch as they take over your home. Contact us today for help with your pest control services!